New Zealand is a giant adventure playground of jaw-dropping scale and beauty. North Island's Maori heritage, geothermal activity and laid-back cities meet towering snow-capped peaks and glaciers, lakes and national parks in South Island. Geographically, the country consists of two main islands – the North and South Islands – which are separated by as little as 22 kilometres at the narrowest point of the Cook Strait. The North Island is the smaller of the two and is the best place to experience Maori culture and heritage – if the geothermal terrains and volcanic edifices don't have you on your toes the whole time. New Zealand is truly 'alive' and a visit to Rotorua, with its myriad mud pools, hot springs and spectacular geysers will make you rethink just how stable planet earth really is. A little more calming are the beautiful bays, beaches and lakes, as well as the two major cities of the North Island that take advantage of them, Auckland (the largest city in the country) and Wellington (the capital of New Zealand). Both cities have that fantastic laid-back vibe that typifies New Zealand, along with a level of sophistication you'd expect from a European city. 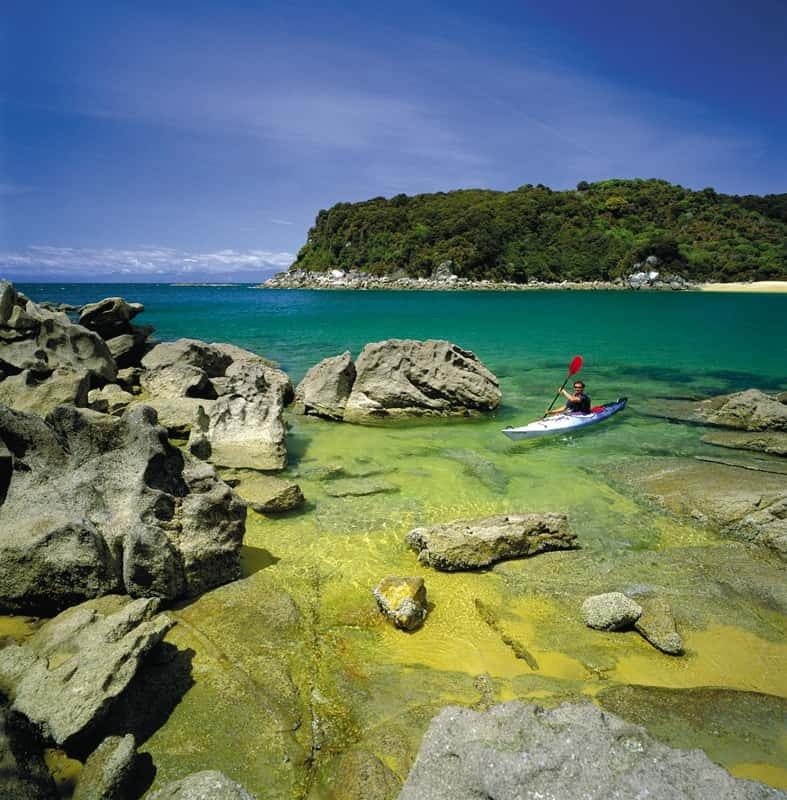 The larger South Island has one of the most breathtaking natural landscapes on earth. Boasting towering snowcapped peaks that give way to rolling green hills dotted with sheep and end with dramatic coastlines that meet pristine waters, the Island is home to ten national parks. Aoraki or Mount Cook National Park is known for the highest peaks and the best climbing in Australasia, as well as challenging winter skiing and snowboarding. Milford Sound, dramatically carved from glaciers during the ice ages, is a striking fjord that’s best enjoyed from a slow boat cruise that passes by waterfalls and wildlife. Close by is the adventure capital of Queenstown, where thrill-seekers come to tick off gravity-defying feats, while foodies sip on fantastic Central Otago wines and eat fresh local produce prepared by inventive chefs.